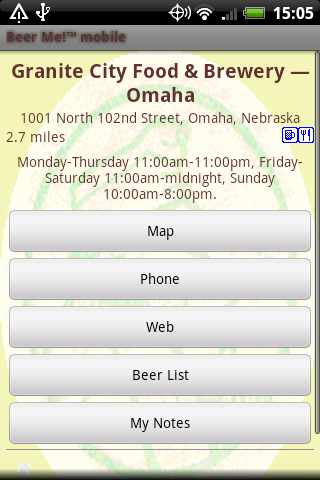 You can read the entire press release at the Goose Island website. I can't personally imagine not having my opener on my keyring, but the rest of them mostly deserve to be on the list. Read the rationale for each at the Dallas Observer. Re: Does Guinness Beer Taste Better in Ireland? 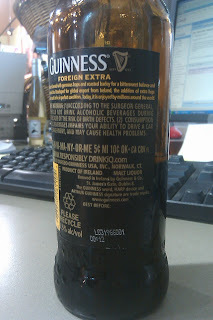 My recent post on the flavor of Guinness in the USA has spawned some controversy over where the beer is actually brewed. I hope this clears up any misunderstanding. 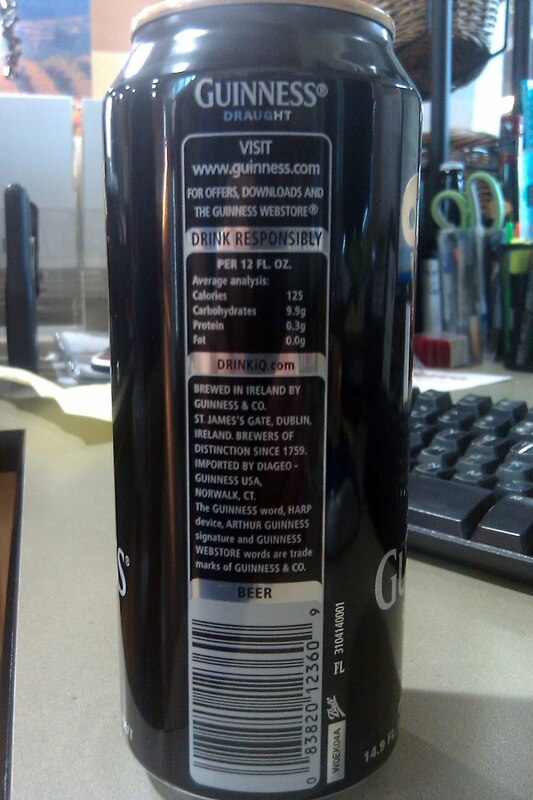 Guinness Draught: Brewed in Ireland by Guinness & Co. St. James's Gate, Dublin, Ireland. 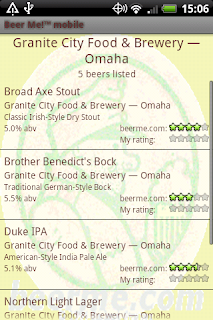 So the by-far-most-popular version is brewed in Dublin, as is the newly-reintroduced-to-America version. Only the USA's Extra Stout version is brewed in Canada, by Moosehead. Applied mathematicians in Ireland recently discovered a possible replacement for the widget that is not only eco-friendly, but could be cost-effective for brewers. They published their findings in the Mar. 8, 2011, issue of the journal Nature. Graduate student Michael Devereux, supervised by William Lee of at the University of Limerick in Ireland, discovered that microscopic plant fibers can froth stout as well as a widget. "Our proposed alternative to the widget would consist of an array of cellulose fibers of approximately three square centimeters," said Devereux. "Our research suggests that stout could be made to foam using an array of fibers in 30 seconds, which is the time it typically takes to pour a glass of stout." Inside of a nitrogen-enriched stout, pockets of air trapped inside cellulose fibers become seed bubbles that trigger nucleation (the formation of additional bubbles). As nitrogen and carbon dioxide diffuse through the walls of the fibers, the seed bubbles grow. When each bubble reaches a certain length, it detaches and breaks off of the gas pocket and floats to the top of the liquid. 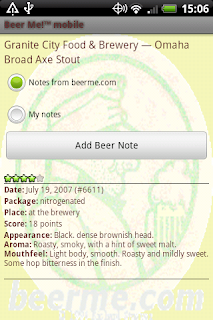 This process is repeated until the gas dissolves completely into the stout. Read the whole story at LiveScience and at Nature, where one of the researchers says, ""We've spoken to brewers, but we're not sure if they're interested yet." Granted, the sample sizes are pretty small for many styles at the top, but I had no idea that I rated barrel-aged beers so highly, nor Imperial IPAs. 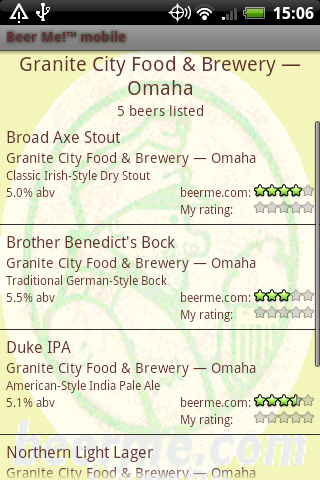 I thought Bamberg-Style Rauchbier would be much higher on the list. I'm guessing that Altbier is near the bottom because it's so difficult to find fresh, authentic examples in this country. For the most part, the styles at the bottom of the list are no surprise. I despise fruit beers, with grudging exceptions for well-made fruit lambics. There are probably more sophisticated statistical techniques for analyzing this, but it's interesting as it is. 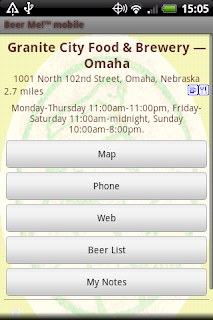 Think I'll have a beer now. Does Guinness Beer Taste Better in Ireland? 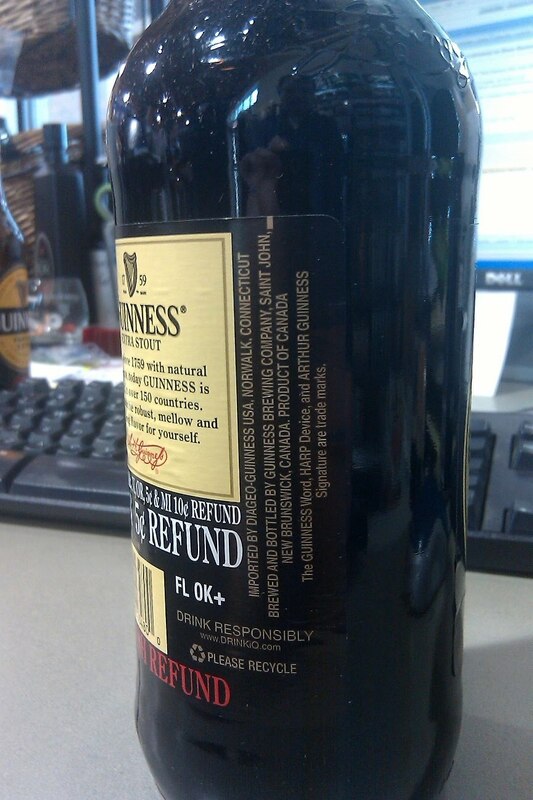 My own experience is that Guinness does, in fact, taste better in Ireland than it does in the U.S. It's pretty easy to ascribe that to freshness, though. 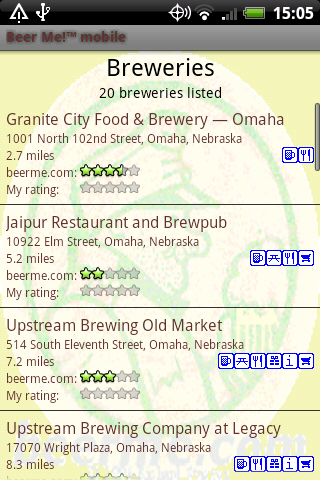 Any beer will taste better closer to its source. 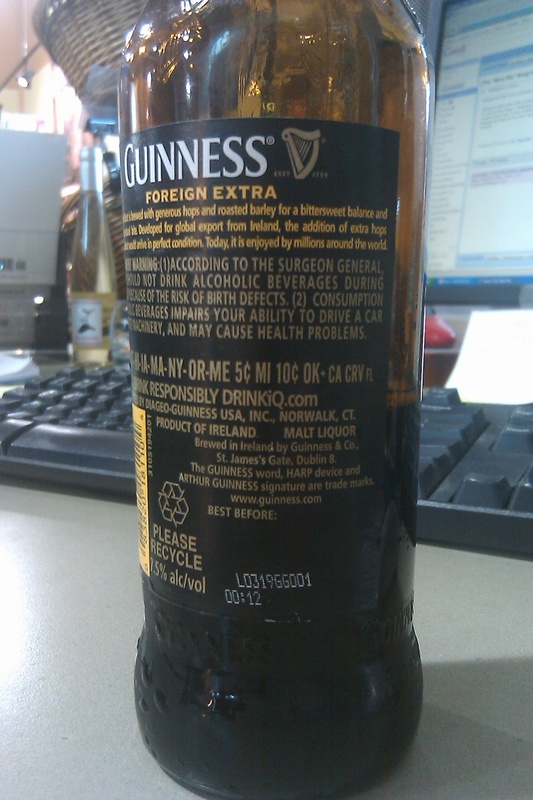 Over a period of one year, four researchers of different nationalities traveled to 14 countries and visited 71 Guinness serving establishments in 33 cities to collect data for 103 tastings. Tasting scores for pints of Guinness were generally high all around the world, yet tastings in pubs in Ireland scored significantly higher. Read the whole story at Science Daily. 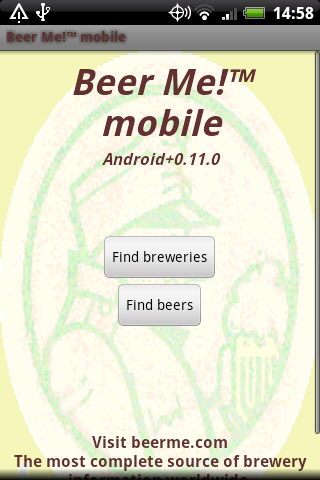 I just sent version 0.11.0 of the "Beer Me!" 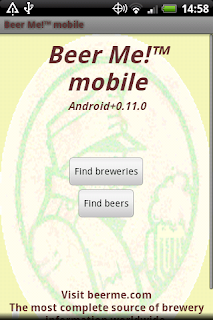 for Android app to the testers. It's getting very close to publishing-quality, so this is the last call: if you want to help test the app and be eligible for get it for free when it's available, contact me now. You want screenshots? We got screenshots!